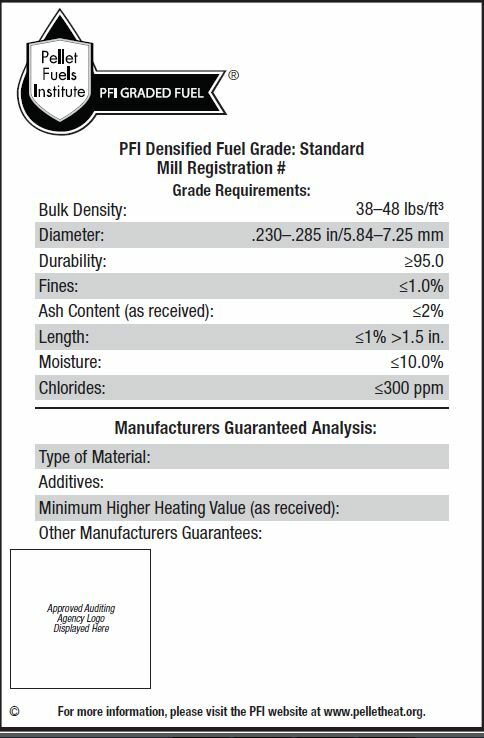 The following companies have qualified for the PFI Standards Program and are permitted to display the Quality Mark on their bagged fuel. The Quality Mark ensures that companies have met the requirements of the PFI Standards Program, including passing regular audits and testing. In commerce, it is common practice for a manufacturer to produce a product which is subsequently sold by another entity under private label. The same holds true for the wood pellet industry, the significance being that the third party selling the product would prefer the customer to contact them directly regarding any product issues and not the manufacturer. 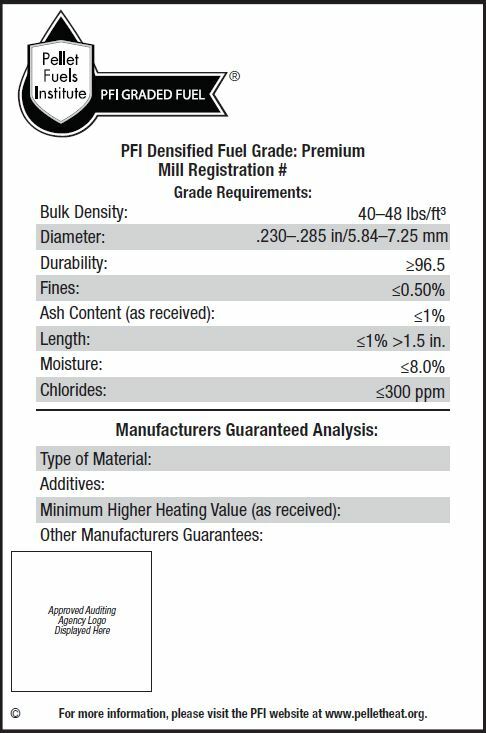 To preserve this normal business practice the PFI Standards Program offers the opportunity for qualified wood pellet manufacturers to receive additional registration numbers for private labeling purposes. These registration numbers are published on the PFI website but are indicated as being issued for private labeling purposes. If you have quality related questions regarding product that has one of these registration numbers on the quality mark then please contact the selling entity to inquire about the product.